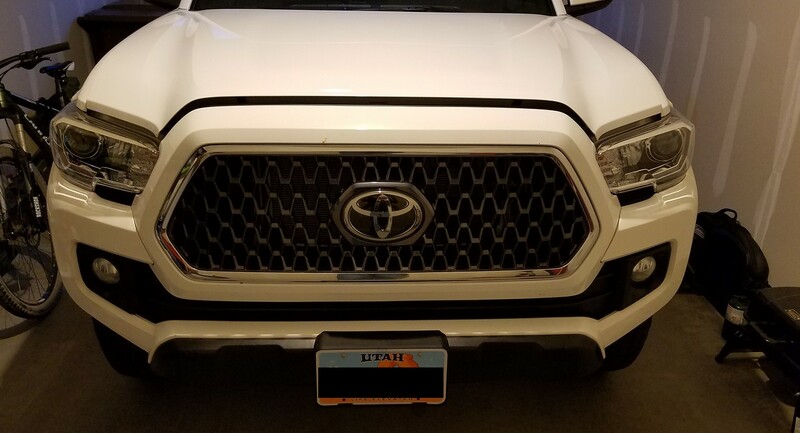 After 10 years of 4runner ownership (1996,2000,2002 and a 2010) I decided to move on and try something a little different but still within the Toyota family. 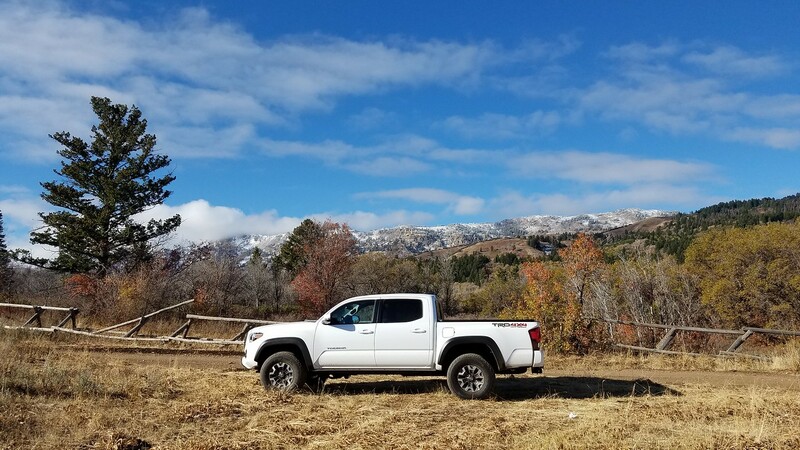 2018 Toyota Tacoma TRD Offroad, with 10 miles on the ODO when I picked her up and a little over 650 miles as of starting this thread. Right now I'm not sure where this build will take me I have a few ideas in mind but nothing set in stone as I want to see where the stock setup will take me before I do anything major. The first major trip with her will be White Rim trail in Moab in late October followed by a move to Colorado. First change and quick little trip to start getting use to how she drives on the trail. 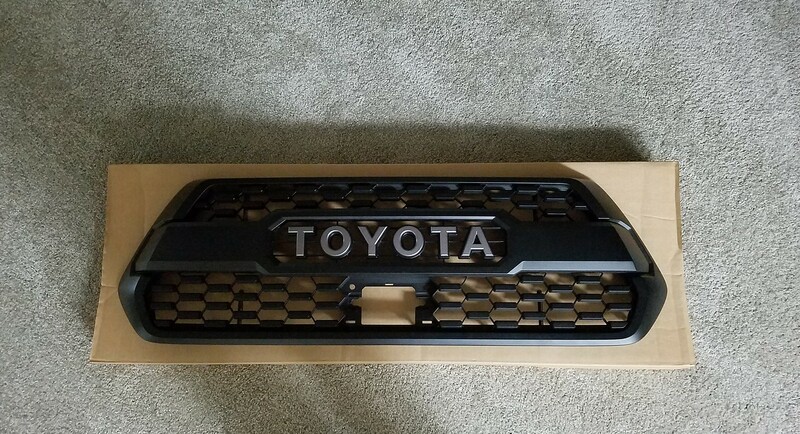 OEM TRD Pro Grille - looks so much nicer than the stock grille that comes standard on the Offroad. Aleady looks better with out the chrome trim. 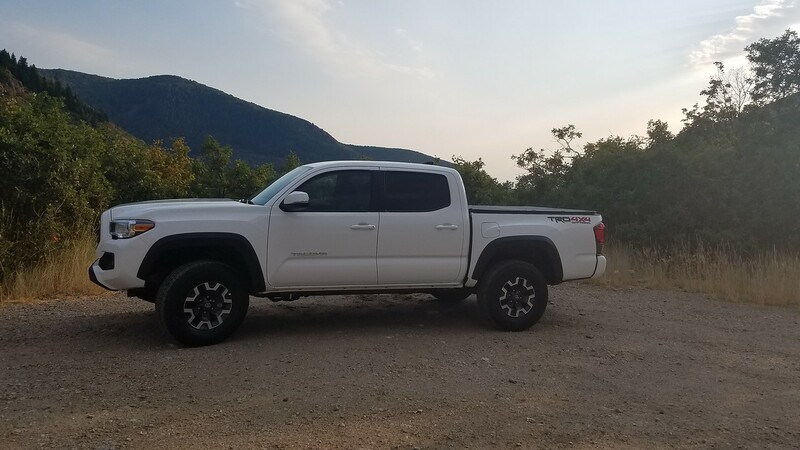 Easy drive up Devils Gate Valley road to see how the truck handles on the dirt and to just get out frankly. Congrats on the new ride! It'll certainly be different with an exposed bed this go around. You usually see guys go the other direction but I am excited to see your thoughts between the two. Ya, it will be interesting to see how owning a truck goes. Small updates (been lazy in posting). 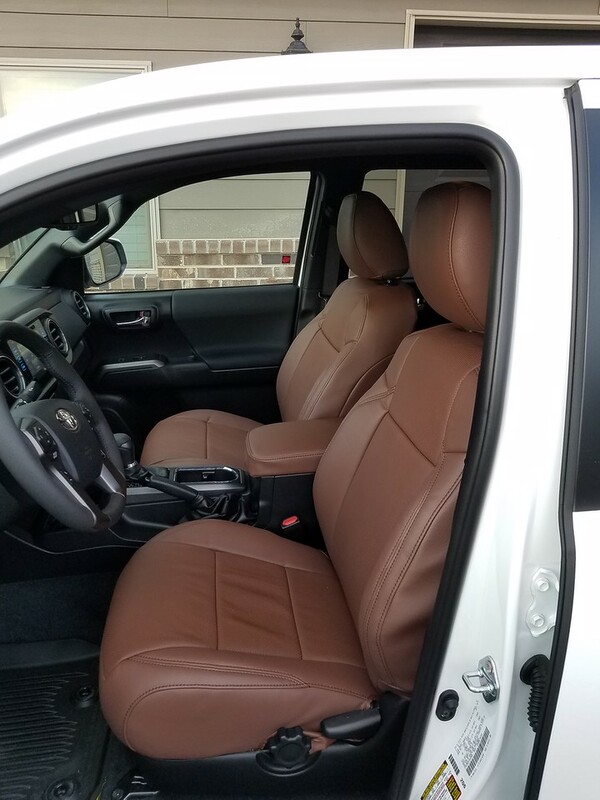 Oct 2018 - Picked up a set of dark brown Clazzio leather seat covers and installed over the past two evenings in my garage. 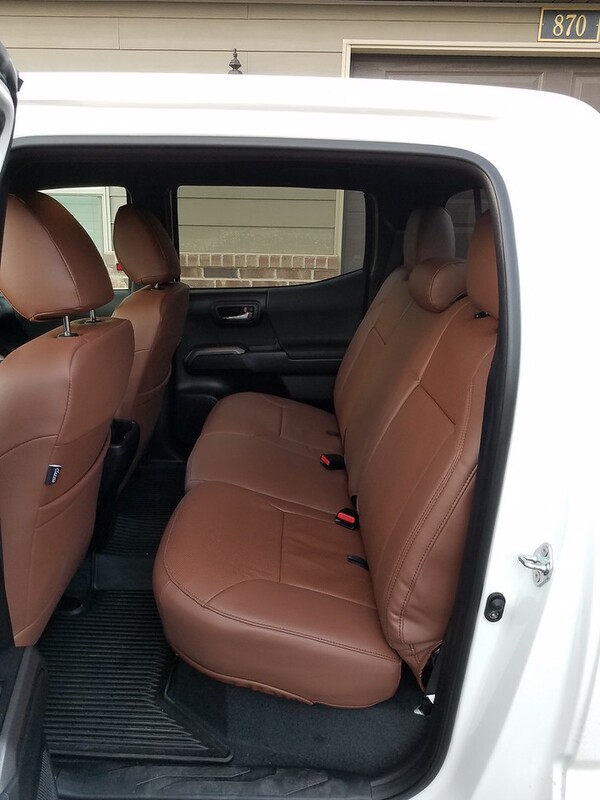 Finally moved it out of the garage see how the dark brown leather looks in the light. I Still have to tweak a few things to get the wrinkles out and finished up but so far I'm liking it. 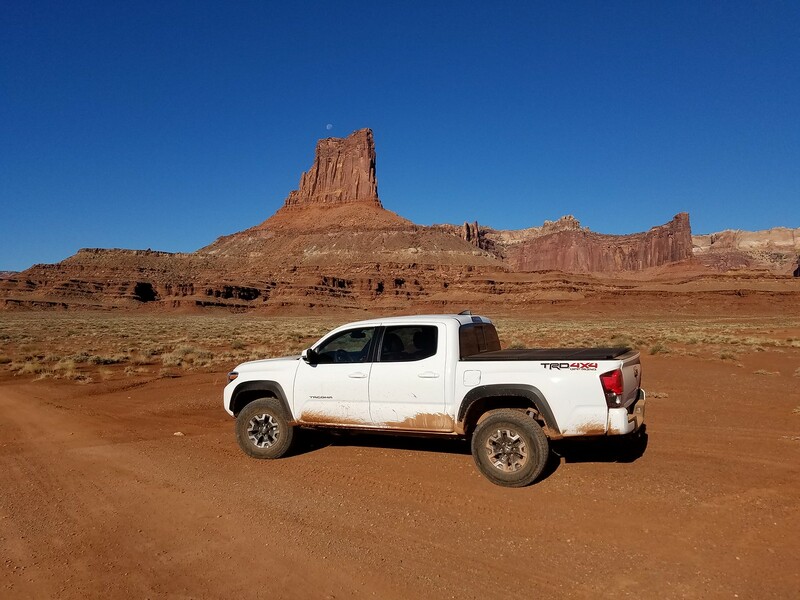 Oct 2018 - Ran White Rim trail on Sunday to see how the stock setup on the truck does on the trail (only about 1700 miles on the truck as of this post). 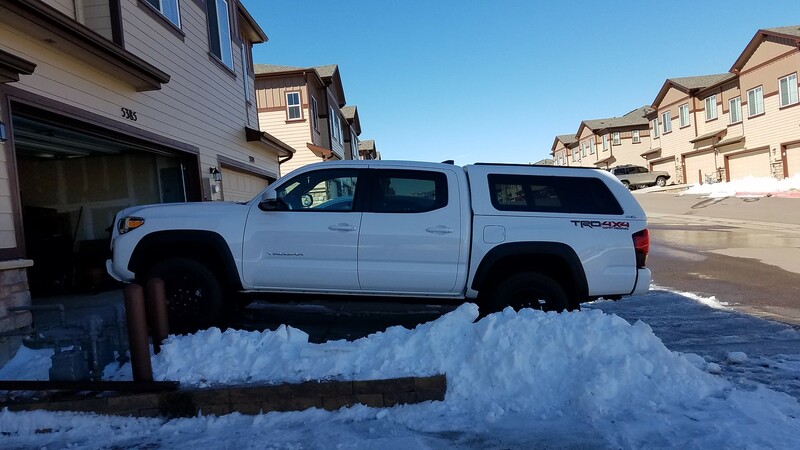 January 2018 - Picked up a set of 17" TRD rims and Cooper Discover AT3 tires then did a road trip out to Kansas to see how they would do. now. Also, look at set of rock sliders again. OEM suspension! Stock AF! don't ruin a good ride!. buy sliders. and DRive it! like you have been! more pics! Sliders will probably come before the suspension. I'm thinking of switch to Bilstein 5100 and leave it at that. I've had those shocks on my past 4runners and have like the ride. 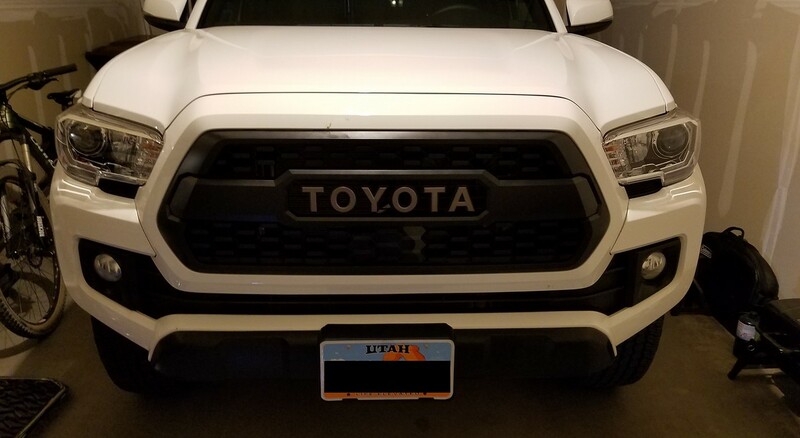 The ARE Z series topper I order a few backs came in and was installed on Saturday. I add some weatherstripping under the bed caps and a little bit of silicone at a few locations along the front bulkhead. 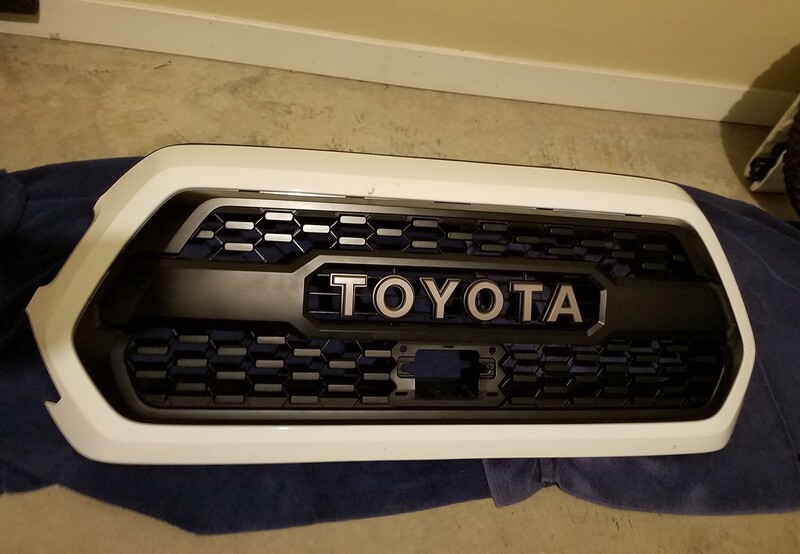 I like the OEM tri-fold cover I had but at the same time it was a bit of hassle for my needs so the topper was the replacement for it. 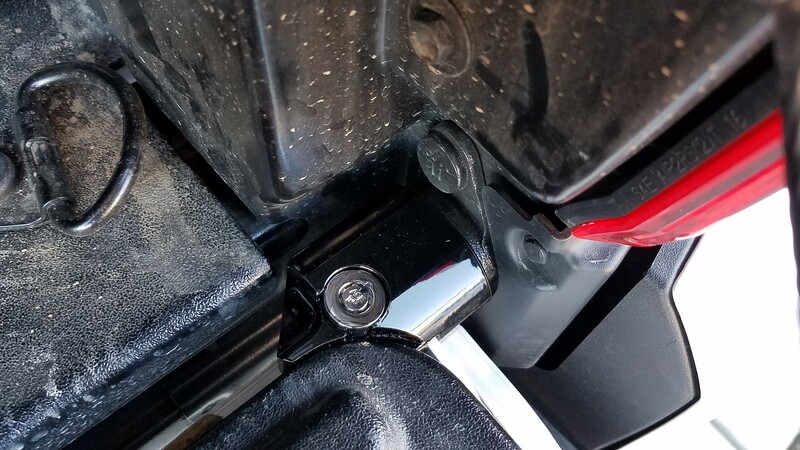 Installed the Sabellco tail gate lock I picked up in January. Great truck! Excited to see where you take this build! Color looks great, how bad was the install? Did you also add seat heaters? Install wasn't bad. The headrest I thought were the hardest and no heaters. You should make friends with the guy with the 100-series down the street. Truck looks great BTW, it's hard to beat a topper.